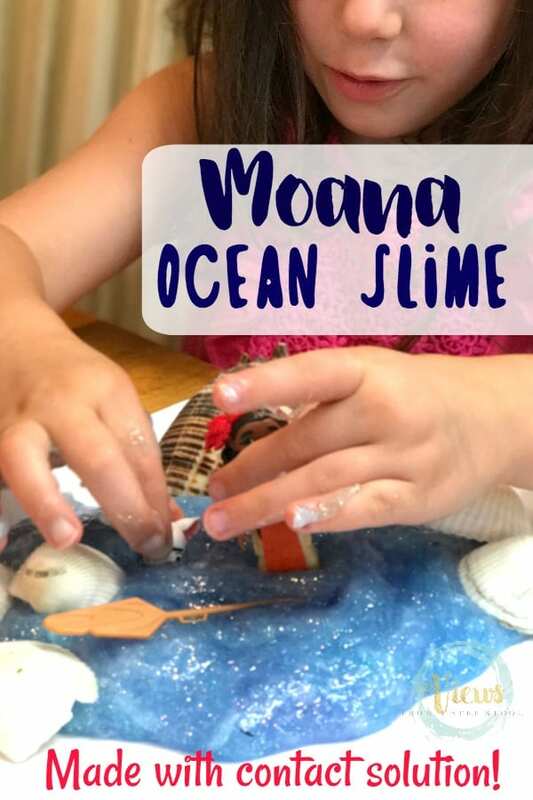 Moana cookies for any Moana birthday party or for fun baking with kids. 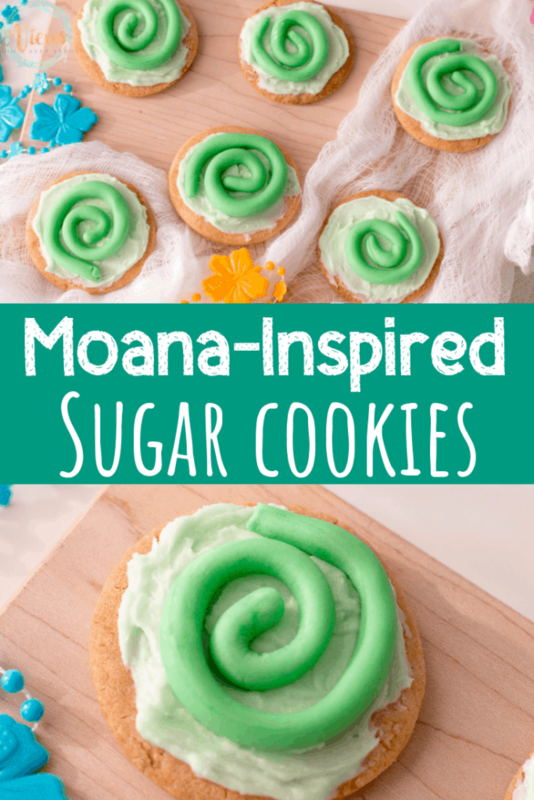 The heart of the fit design on these cookies make them perfect for any Moana theme. 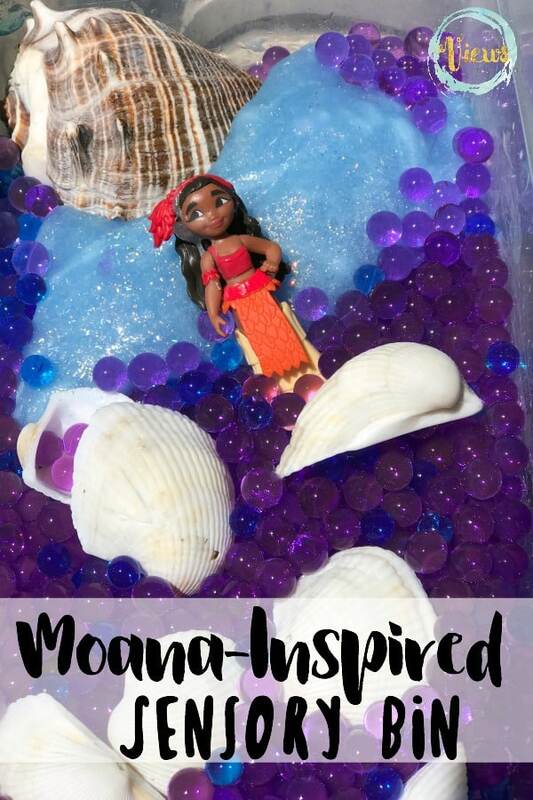 Moana is one of our favorite Disney movies and has been the inspiration behind many of our crafts and STEM challenges. 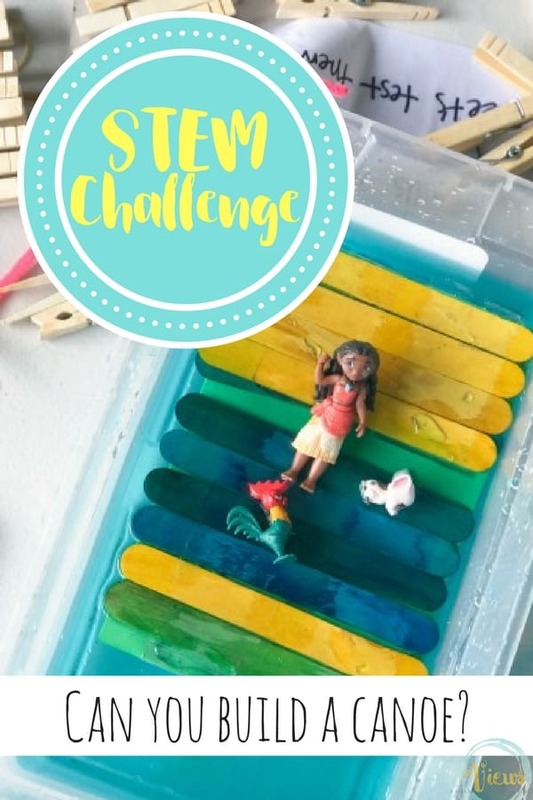 Among our favorites are this super easy Moana necklace and this STEM challenge to float Moana’s canoe. 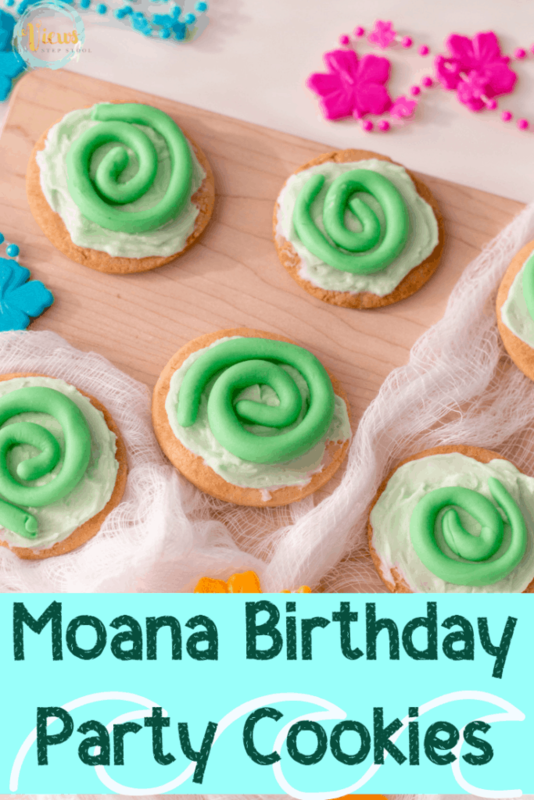 These Moana cookies will make the perfect treat for a Moana birthday, or to snack on while watching the movie for the hundredth time. 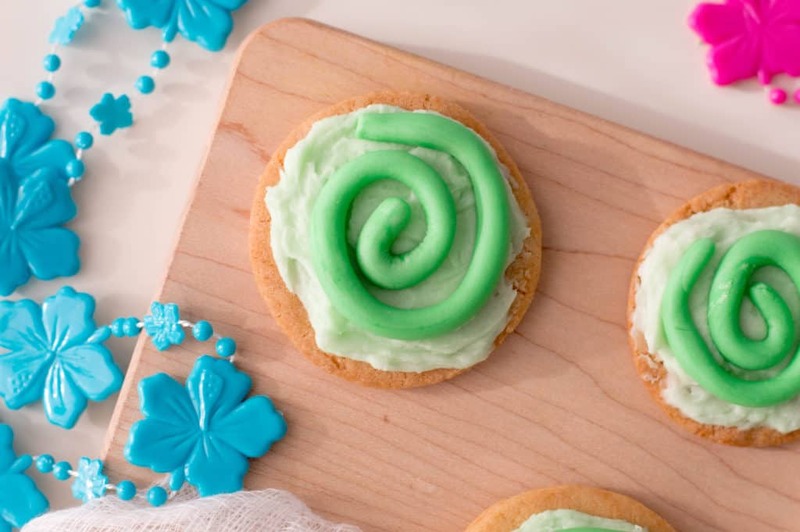 These Heart of Te Fiti cookies are super simple to make and adorable for a party or an afternoon of baking with your kids. 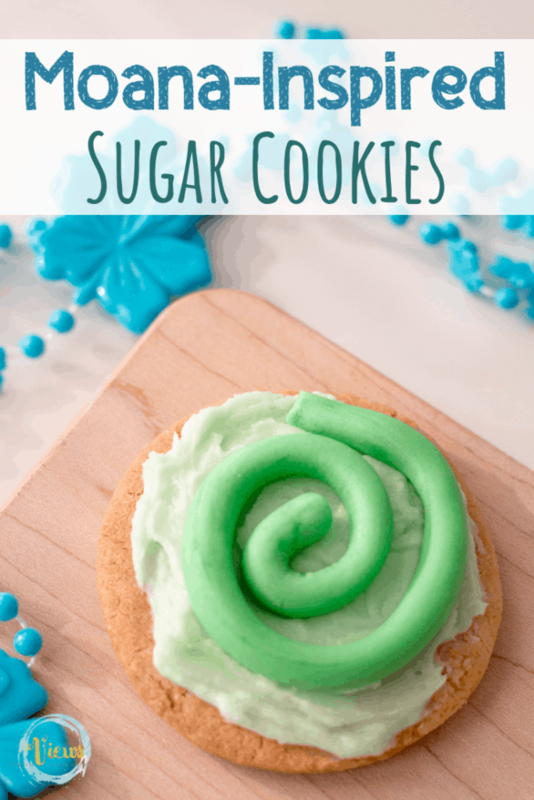 You can use pre-made sugar cookie dough, or make your own following your favorite recipe. 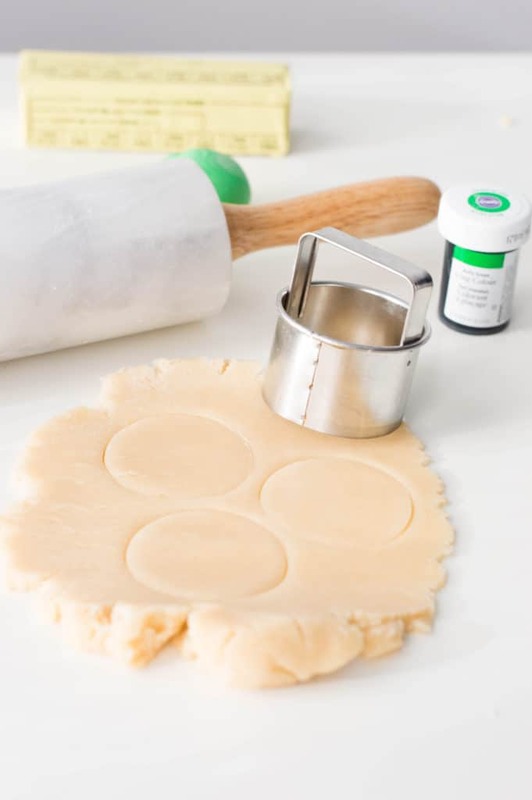 With the help of a cookie cutter, cut your cookie dough into circles that are about 2-3 inches in diameter. Bake according to directions and allow to cool on a wire rack. Using an electric mixer, beat butter, sugar and milk until smooth. Add 2 small drops of green gel food coloring and mix until completely tinted. 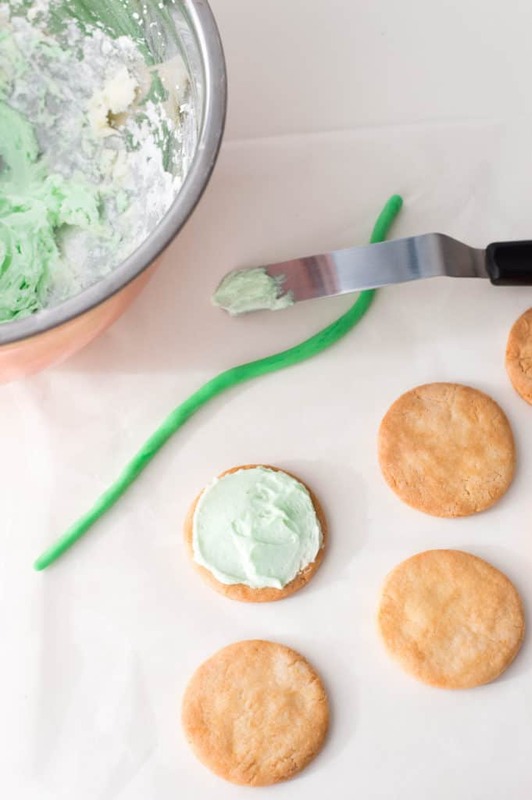 Using an offset spatula, frost each cookie. 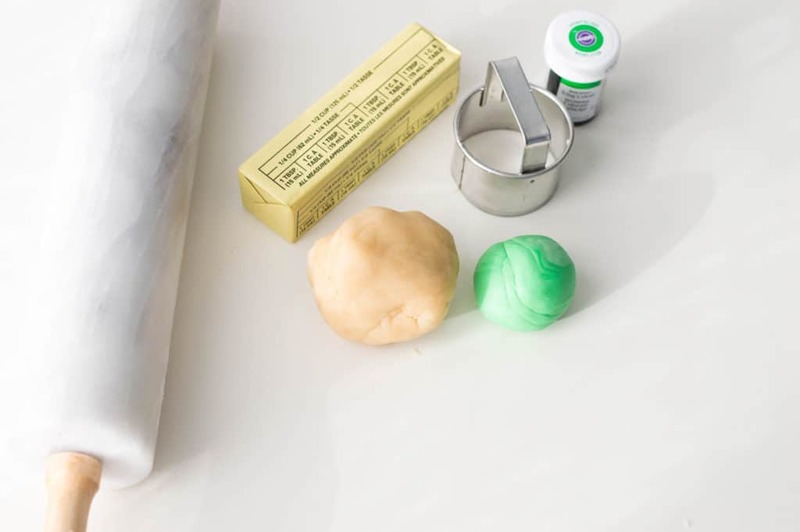 Roll out your green fondant into a long strip, about 4 inches long. 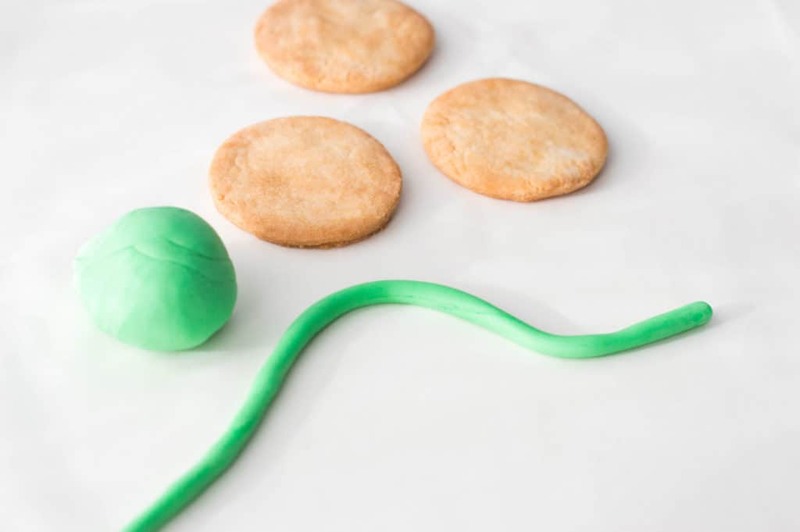 Place one strip of fondant onto each cookie in a swirling motion and trim if necessary. 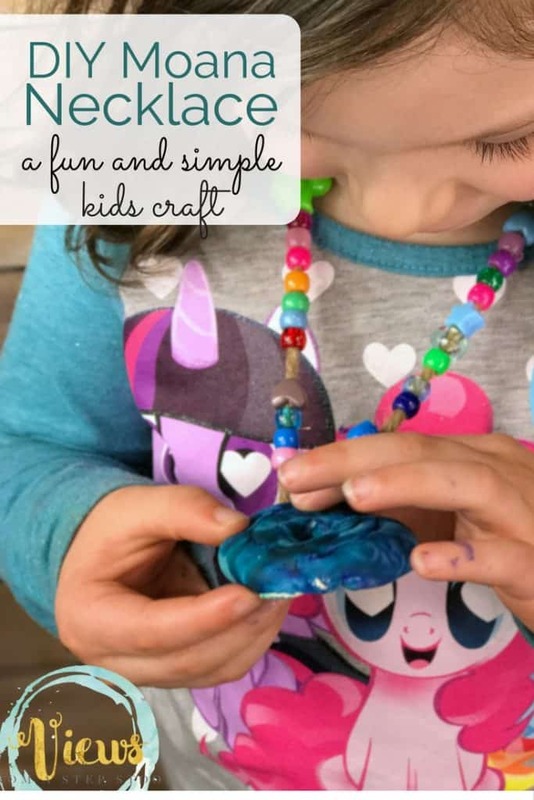 Kids love working with fondant to decorate cookies and cakes as it is similar to playing with play dough! They can help roll out the fondant and frost the cookies. 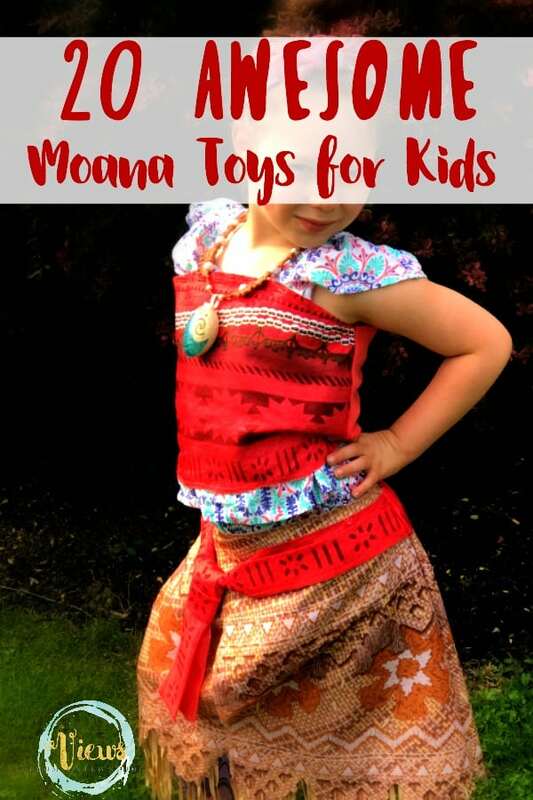 Older children will be able to help make the swirls, and remember if they don’t come out perfect that’s ok. The kids will take pride in creating them on their own, and regardless, they will be tasty! 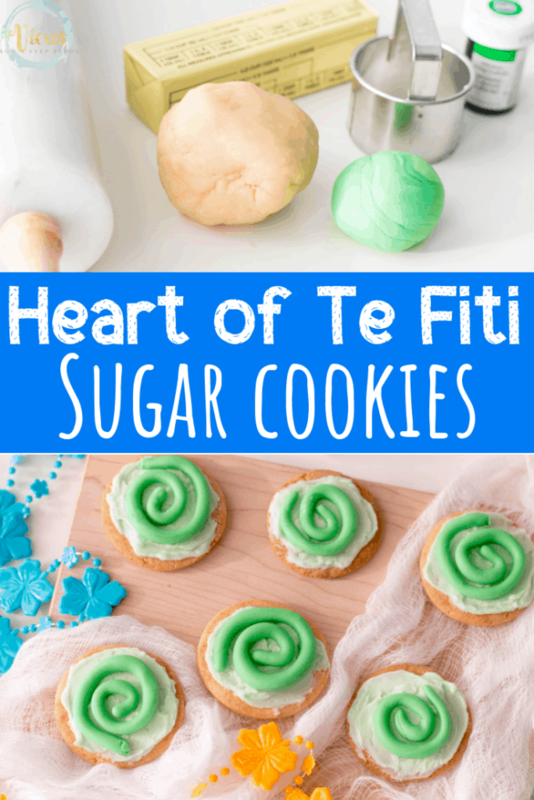 Enjoy making these awesome Heart of Te Fiti cookies for your next Moana party or movie date!